Our enthusiastic staff at Absolute Care Cleaning Services - Office Cleaning Malvern take the time to individually assess each contract ensuring that the highest level of customer satisfaction is maintained. Absolute Care Cleaning Services - Office Cleaning Malvern prides itself on customer satisfaction standards which can be confirmed by our growing list of loyal corporate clients. Absolute Care Cleaning Services - Office Cleaning Malvern provide services tailored to your needs and can work to a task list specific to your business. "Mention This Website & Get 10% Off Your First Cleaning Bill"
You can trust Absolute Care Cleaning Services - Office Cleaning Malvern to clean your office thoroughly and efficiently using the latest equipment, supplies and techniques. 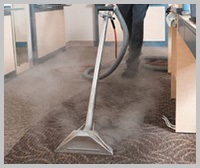 When it comes to commercial cleaning and office cleaning our people make the difference. We don't just empty bins or perform a quick run around with a vacuum cleaner. We are pedantic. We get to the bits that others leave.